You should first talk to Mr. Niemann or a professional in the office before you make an important legal decision. Please take a moment to fill out this secure and private contact form so Mr. Niemann can be in touch with you shortly. All communications are strictly confidential. Do you know someone that can benefit from our services? If so, please send us their contact info. Our Campaign Through Life; An Inspirational Message from Fredrick P Niemann Esq. Is My Power of Attorney Valid in Other States? Can a Power of Attorney Obtain a Restraining Order Against a Family Member? When Can A Beneficiary Compel An Accounting From An Executor, Trustee Or Administrator? Can an ‘X’ Mark Qualify as the Legal Signature of a Person? Can a Personal Representative Create a New Last Will Or Trust for an Incapacitated Person? How Much Can a Trustee, Executor, and Power of Attorney be Paid? 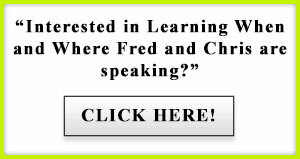 Speaking Engagements: Where is Fred This Month? Click Here to Read More Articles! Everyone Loves Information For Free! Free Guides and Newsletters Here! Copyright © Hanlon Niemann & Wright, P.C. All rights reserved. All information presented in this website is copyrighted by Hanlon Niemann & Wright, P.C., or other individuals or entities as designated. Any republication, retransmission, reproduction, downloading, storing or distribution of all or part of any materials found in this publication is expressly prohibited. NO REPRESENTATIONS This material may contain technical or typographical errors. Hanlon Niemann & Wright does not guarantee its accuracy or completeness or suitability. IN NO EVENT SHALL HANLON NIEMANN & WRIGHT BE LIABLE FOR ANY SPECIAL, INDIRECT OR CONSEQUENTIAL DAMAGES RELATING TO THIS MATERIAL, FOR ANY USE OF THIS PUBLICATION. Hanlon Niemann & Wright takes no responsibility and makes no warranty whatsoever for the content or information contained herein. Fredrick P. Niemann offers his clients over 30 years of accomplished practice.